Antidote X – Event Management, Consulting, and Production | Big Thinking. Tiny Details. Flawless Execution. Antidote X – Event Management, Consulting, and Production – Big Thinking. Tiny Details. Flawless Execution. Big Thinking. Tiny Details. Flawless Execution. Every detail curated and executed perfectly. From overall event concepting, to logistics and budget management, Antidote X has the unique solution for any corporate or private event challenge. The details that elevate an event into an unforgettable experience. We manage and execute every element needed for a stress free, results driven, unique experience that will wow your guests, clients, and consumers. Whether it’s a big stunt or an intimate networking dinner, we will conceptualize the perfect unique experience to accomplish your objectives and delight your guests. Every element is concepted from the perspective of how your guests will experience the event. From the first thing they see when they enter, to networking spaces, to the small touches on the tables. Details Details Details! We coordinate the web of logistics needed to make your event run smoothly and appear effortless. Events often take a small village to execute, and we have a great community! We have extensive experience managing teams big and small including caterers, florists, lighting designers, AV crews, and brand ambassadors. We are foodies! Simple, elegant, and delicious! We can help curate the perfect menu and cocktail selection for your guests. From theaters, to outdoor spaces, ballrooms to unique warehouses. We will find the perfect venue for your event, and negotiate all the contracts for you too. Numbers are our specialty! Our relationships with vendors across the country allow us to negotiate the best rates possible and pass savings on to you. Need a local bluegrass band, or a big name headliner? We can handle all aspects of talent booking and managing all of their many details on site. Need to book rooms for a large group of out of towners? Or transport your VIP executives to the event? We can manage all aspects of hotel blocks and reservations and transportation logistics. Customizable online registration systems, managing RSVPs for your guests, follow up and confirmation management. Concerts, Big Shows, Sporting Events, Galas, Spectacles & Stunts, Festivals, Intimate Meet & Greets, Grand Weddings & Small Affairs - we’ve done it all. Meet the New Antidote X Events! Antidote X Events is led by Experiential Marketing & Events Expert, Kelly Moll. 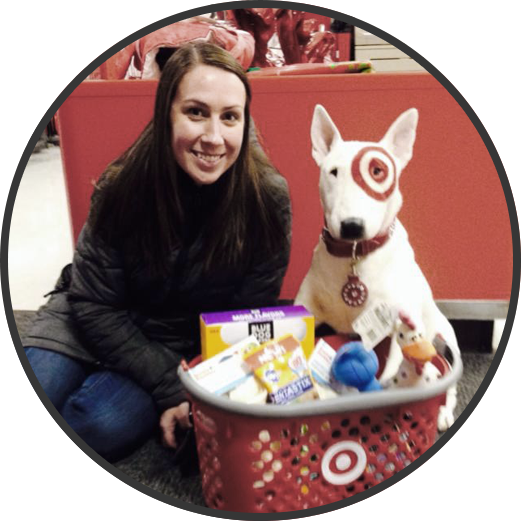 Kelly most recently spent four years on the award winning Target Corp.Experiential Marketing Team and has over 10 years of experience in concepting, managing, and producing large scale events. She has produced and managed every type of event imaginable - from nonprofit galas with silent and live auctions, to album release concerts with big name headliners and your favorite star studded celebrities, consumer engagement activations at NASCAR Races, to Congressional receptions on Capitol Hill, educational conferences, private parties, and everything in between. Known for her humor and grace under pressure, Kelly has been the calm eye in the center of many logistical storms - executing every detail flawlessly, rallying her teams to produce outstanding results, and making every experience memorable and enjoyable for guests and clients. In her spare time, Kelly is a travel junkie and a writer. She has been published in a collection of comedic short stories and will be featured in a second collection due out in Summer 2015. We have done many projects with Kelly that involve major headliners and A-list talent. She manages to create calm out of chaos every time and handles each detail perfectly. It's always a pleasure to work with her! The whole conference planning process from start to finish was so organized and thoughtful. So impressed with Kelly’s ability to bring events to life and cover every detail. I have watched Kelly pull off numerous large scale events and manage huge teams during execution without breaking a sweat. She makes it look easy! © Antidote X LLC 2015.